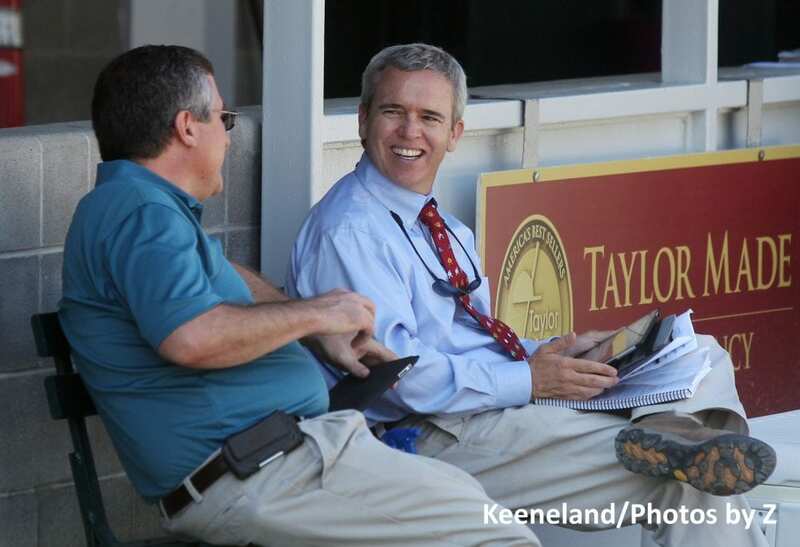 Taylor Made Sales Agency has been a leading consignor in North America for three decades, but it will venture into new frontiers next month with its first offering at the Tattersalls December Mares Sale in Newmarket, England. In a piece for Thoroughbred Racing Commentary, Nancy Sexton laid out the Kentucky-based consignment's six select-level offerings for the mixed sale, and the reason now was the time to make the trip across the pond. Mark Taylor, vice president of marketing and public sales operations for Taylor Made, said managing the sales domestically had kept international expansion out of reach in the past, but as the Taylor family has grown, so has the sales operation. Of Taylor Made's six horses consigned to the auction, U.S. racing fans will best recognize Midnight Crossing, an Irish-bred Dark Angel mare who won the Grade 3 Robert J. Frankel Stakes at Santa Anita Park last December, and Queen Blossom, a mare by Jeremy who was a G3 winner in her native Ireland before coming stateside and eventually winning the G3 Santa Barbara Stakes at Santa Anita earlier this year. The Tattersalls sale is the first step in Taylor Made's international outreach in the auction market, which will continue in August when the company consigns horses to the Arqana August Yearling Sale in France. Read more at Thoroughbred Racing Commentary. This entry was posted in Bloodstock and tagged Mark Taylor, midnight crossing, queen blossom, Tattersalls December Mares Sale, taylor made sales agency by Paulick Report Staff. Bookmark the permalink.